Biodiversity is the living part of Planet Earth. It includes animals, plants and micro-organisms, the genes within them, the ecosystems in which they live, and the interactions among them. Focusing efforts on the sites and habitats where biodiversity is especially concentrated, unusual or threatened is a well-tested and cost-effective conservation approach. 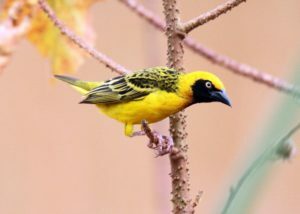 For Nature Kenya and the BirdLife Partnership, this has meant focusing on Important Bird and Biodiversity Areas (IBAs) Birds are widespread, easy to spot, comparatively well-studied, and responsive to environmental change. They have also been shown to be effective indicators of biodiversity richness in other fauna and floral groups. Species extinction is a natural part of the evolutionary process. However, when extinction stops being a natural process and starts occurring as a result of human activities, for example through habitat loss, we risk losing the diversity, bounty and beauty of our planet forever. Nature Kenya strives to conserve and restore populations of species across their natural ranges; and maintain their genetic diversity to allow them to survive and adapt to new challenges. 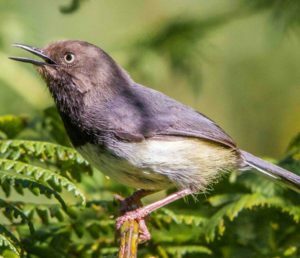 We also work towards securing and restoring habitats for critically threatened species. Working in collaboration with scientists, research institutions, government, NGOs and local communities, Nature Kenya aims to enhance knowledge and partnerships to take urgent actions. 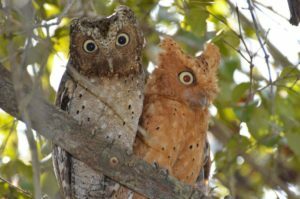 These actions include developing and implementing species action plans, recruiting species guardians and champions for priority globally threatened species, improving local livelihoods at important sites and influencing policy for conservation at all levels. 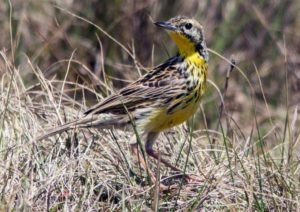 Important Bird and Biodiversity Areas (IBAs) are sites of global importance for biodiversity conservation, identified at a national level, using internationally agreed criteria. IBAs are selected because they hold bird species that are threatened with extinction; have highly restricted distributions; are characteristic of a particular biome; or occur in very large numbers called congregations. So far Nature Kenya and partners have identified 66 IBAs in Kenya and identification is on-going. IBAs cover all the key habitat types in Kenya. These habitats include forests, wetlands, grasslands and semi-arid and arid areas. While thirty IBAs are protected (gazetted forests and national parks), 36 do not have formal protection. Monitoring, conservation advocacy and practical action are needed to protect these sites. 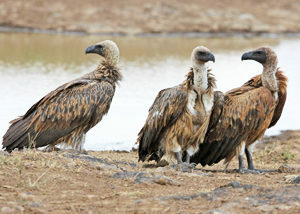 In Kenya the IBA programme is co-ordinated by Nature Kenya (the BirdLife partner in Kenya), with support from the Royal Society for the Protection of Birds (the BirdLife Partner in UK) and other local and international partners. The technical work is carried out mainly by the Ornithology Section, National Museums of Kenya. Monitoring – the repeated collection of information over time in order to detect changes in one or more variables – is a tool that is used to inform decision-making or improve site management. Monitoring is carried out to identify species, sites and threats of greatest concern, assess progress in efforts to conserve biodiversity, and evaluate whether policies and actions are having any impact. Nature Kenya and its partners monitor the status of IBAs, the levels of threats and pressures and the conservation responses each year. IBA monitoring also helps to create awareness, develop technical capacity, engage local communities and site management authorities in conservation, and build a national constituency for conservation. Detailed monitoring: This monitoring is more time-consuming and expensive than basic monitoring. So it is targeted at a sub-set of sites where it is likely to be both more useful and more feasible. One of the main detailed monitoring includes the Annual water fowl counts which targets to estimate populations of water birds across Kenya. This assists in adaptive management of sites. 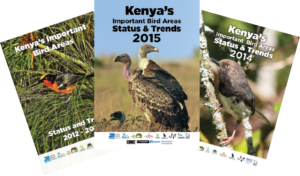 The annual report, Kenya’s Important Bird Areas Status and Trends, provides information on the conditions, pressures and responses at Kenya’s IBAs, based on monitoring results and other sources. The report identifies threats at site level and provides recommendations for highest priority conservation action. It is a useful tool to guide site management planning, and forms part of national reporting to the Convention of Biological Diversity (CBD), in particular Article 7 relating to identifying and monitoring key sites. The ultimate aim is to have data from monitoring positively influence conservation, national strategy and policies. From the air we breathe to the food we eat and water we drink, these are all products of nature’s warehouse of services. Natural ecosystems perform fundamental life-support services upon which we humans depend – ecosystem services. Ecosystem services are processes by which the environment produces resources that we often take for granted, such as clean water, habitats for fisheries, and pollination of agricultural crops. Whether we are living in urban areas or rural settings, the ecosystems we live in provide goods and services that are critically important for our survival. Nature Kenya has championed the use of the Toolkit for Ecosystem Services Site-based Assessment in Kenya in Kenya, which gives guidance in measuring ecosystem services provided by a habitat. So far Ecosystem Services Assessment has been carried out in Kakamega Forest, Yala wetland complex, Taita Hills forests, Dakatcha Woodland and Arabuko Sokoke Forest IBAs. The effects of climate change on species and livelihoods are already being seen and felt. Global warming has many impacts on natural ecosystems, agriculture and food supplies, human health, forestry, water resources and availability, energy use, and transportation. Nature Kenya is working with communities to develop climate change response strategies and raise awareness on ecosystem based adaptation mechanisms. Through funding from our partners, we have successfully promoted the use and adaptation of energy saving technologies among communities. These technologies reduce demand for fuel wood culminating to less pressure on forests for energy needs. This also minimises emissions and increases resilience and adaption by local communities. Nature Kenya has facilitated tree planting activities across Kenya’s IBAs which have a great effect in increasing resilience to climate change. As part of bringing economic benefits through climate change programs, we are working to introduce the concept of Payment for Ecosystem Services.